Black Obsidian tumbled healing gemstone. Smoothly polished and high sheen. Great as a hand comforter or to carry in your gem bag. 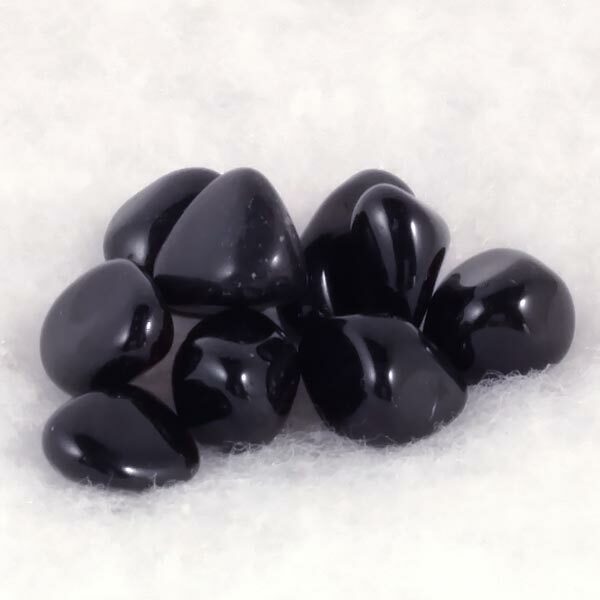 Black Obsidian acts as protection against psychic attack by purifying the atmosphere of negative spiritual influences. Promotes grounding into one's Earth origins, opens awareness of past lives, reveals awareness of negative karma to clear and heal it. Increases awareness of the body and centering of the soul, grounds spirit into body after psychic work. Stabilizes fear and panic, grounds and centers. Obsidian has an Amorphous crystal system and is in the mineral class of Oxides. It is formed volcanically when lava that is rich in silicic acid cools very rapidly. It hardens so quick that no crystalline structures are able to form. The result is a solid, molten mass that contains large amounts of minerals, water and gas inclusions. It is sometimes also called volcanic glass. As a rule, it is usually found as a very opaque, black color. When more transparent, it has been formed from lava that is poor in foreign substances. It can also be silvery in color (Snowflake) from fine gas bubbles included, or very iridescent in it's color (Rainbow Obsidian) from trapped water bubbles. Black Obsidian is very effective when used in meditation to heal emotional or soul pain. It is recommended to use a piece of clear Quartz as a final clearing at the end of your meditation. Black Obsidian assists us in attaining integrity by helping us to see our shadow sides in their true form so they can become part of the self again. Forgotten capabilities can be retrieved and our perceptions can be refined to the point of clairvoyance. Black Obsidian aids in dissolving shocks, fear, blocks and traumas. It can bring a great depth to our emotional nature and helps with many types of obsession. It can also serve as protection against psychic attack by purifying the atmosphere of negative spiritual influences. Black Obsidian can expand our consciousness and help to change restricting beliefs, communication or behavioral patterns. It will sharpen the senses and help our intellect probe mysterious experiences and phenomena. Black Obsidian is quite effective in dissolving pain, tension, energy blocks and vascular contractions. The shock that comes from an injury is dissolved at the cellular level and will accelerate the healing of wounds. It can improve circulation, especially in those who suffer leg cramps from smoking or those who have chronically cold hands and feet. Black Obsidian has a special affinity with Scorpio and Sagittarius. It has a Projective Energy, its Planet is Saturn and its Element is Fire. Mayan priests who honored Tetzcatlipoca, a god known as smoking mirror, used Obsidian mirrors to predict the future. This practice, called scrying, is still in use today. While some have good results using clear Quartz, many find the blackness of Obsidian an easier access to other realms. 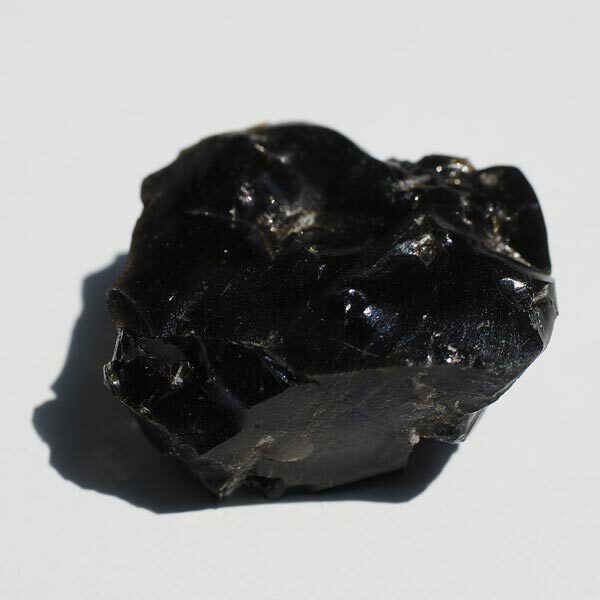 Obsidian was also used for healing wounds and alleviating pain. I find that an amusing tidbit since many ancient weapons were also fashioned from it and were the source of the wounds that needing healing.